Small, medium and big organizations which have recruited large number of employees can manage their competitive workforce efficiently when they start using PeopleWorks HCM which comes with interesting modules like core hr, recruitment and on-boarding, training and payroll. HCM software which is built by PeopleWorks HCM is popular among lakhs of employees. Top executives, middle level management and officer-in-charge can take decisions and actions based on the reports and inputs and monitor the daily activities of on-site and offsite employees. Since HCM eases and streamlines entire HR operations, managers that are sitting in supervisory roles can focus more on other productive areas. Employees will stay away from work, not discharge their work properly, take plenty of leaves without any prior approval and abscond from works at regular intervals and also enter into quarrel with officer-in-charge when there are no HCM tools. Business owners and officers-in-charge can see positive changes in the employees’ mindset, extract maximum works from employees, discuss their requirements with employees, evaluate and analyze employees’ performance and take suitable actions when they start using HCM Software. 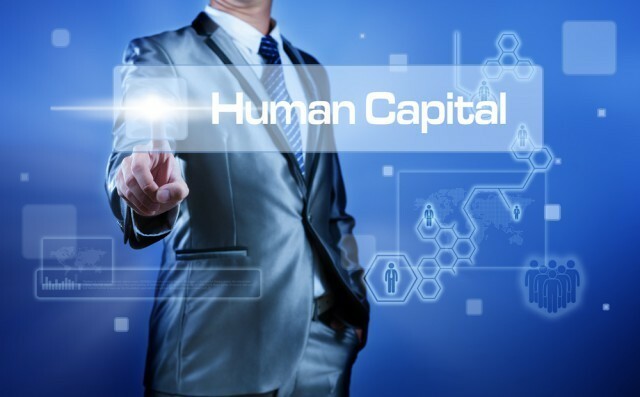 Personnel managers can project their employees in the limelight when they use HCM. Personnel officers that implement HCM can manage their time, men and material effectively and efficiently throughout the year and reach company goals quickly. Payroll officers that use manual spreadsheets will commit lots of errors and omissions while compiling employee salary structure. They can avoid all types of minor and major mistakes and maintain the digitized employee records in an orderly manner when they start using HCM. Senior trainers can conduct orientation, induction, webinars, classrooms, on-the-job and other professional trainings to newly inducted employees and build healthy relationship with new recruits. Employees can share thought provoking, motivational and meaningful messages through HCM and motivate others to a great extent. Managers working in manufacturing plants, processing units and distribution centers can easily schedule works to workers and extract maximum works from them. Constructed with mobile friendly modules and features, PeopleWorks HCM is an international hit product. Employees can stay connected with their employees and vice versa through mobile apps and device round the clock and create best rapport. Recruitment of new staffs, training them thoroughly and bringing them to the forefront are some of the important assignments that are allotted to HR department. Personnel managers can do these tasks effectively and finish-off their assignments within a reasonable period of time when they start using this product. On-site employees that are working in foreign lands can instantly get in touch with Hr employees and discuss their requirements with them. They can also request online virtual meeting and clear all their doubts with HR department when business owners implement HCM in their system. It is interesting to note that all the companies which are using this software have shared positive feedbacks and reviews which are worth exploring. Never take hasty decisions of purchasing outdated or obsolete HRMS products elsewhere and always decide to buy HCM from PeopleWorks HCM which offers best technical and customer support at all times.